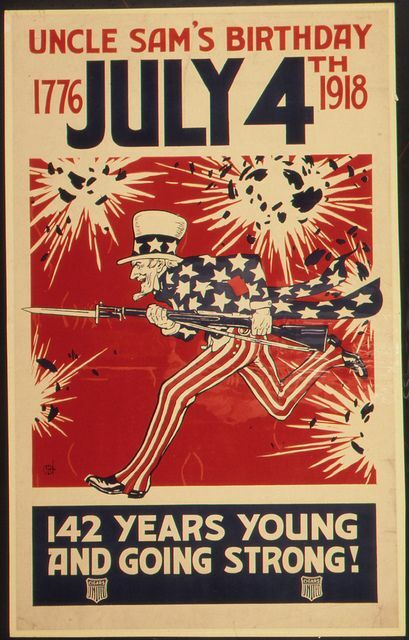 The exact origins of Uncle Sam as a symbol for the United States are unknown. But the most widely accepted theory is that Uncle Sam was named after Samuel Wilson. During the War of 1812, Samuel Wilson supplied the U.S. Army with beef in barrels. The barrels were labeled “U.S.” When asked what the initials stood for, one of Wilson’s workers said it stood for Uncle Sam Wilson. The suggestion that the meat shipments came from “Uncle Sam” led to the idea that Uncle Sam symbolized the Federal Government and the association stuck. In 1961, Congress passed a resolution that recognized Samuel Wilson as the inspiration for the symbol Uncle Sam.